Traveling with the children is always a good idea. No matter how old your little ones are, it is great to consider booking a trip with them. Whether you choose a local destination or pull out all the stops and book one of those Nassau vacation rentals, vacationing with the kids will always prove to be worthwhile and a very rewarding endeavor. 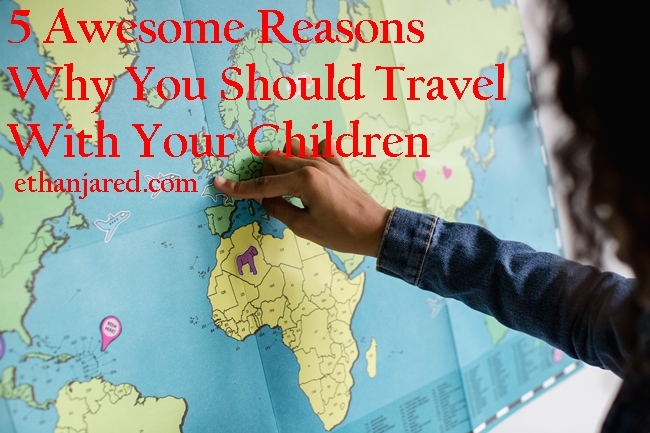 Although it is natural for most parents to be discouraged in planning trips with smaller children in tow, some brave souls will tell you that the bold move will be well worth it and something your smarter parent self in the future will thank you. It might be a lot trickier, not to mention a whole lot stressful, to take a trip with smaller children who may not be as cooperative as their older siblings. They might easily give a fuss about missing their binky, or their favorite blankie, or about why the trip is taking too long and there might be more things that need to packed, including diapers, feeding bottles, and the likes, compared to when you are tagging along older children, but nothing beats careful planning, and being prepared for whatever circumstance, to solve this dilemma. Make sure to create a checklist of what items to bring for each child so you will miss out on anything. Packing a bigger bag and separating each child’s stuff into smaller containers or ziplocks will also prove to be helpful so you will be more organized in unpacking once at the hotel or resort or packing up again before heading back home. Items such as the children’s snack, vitamins and medicine, as well as books or toys to ward off boredom or tantrums away, must all be packed in mum’s big handbag so they are a lot easier to retrieve when needed. Packing up essentials, as well as enough amount of patience, will surely do the trick. Plus, there are also many resources online that offers nifty tips and tricks on how you can reduce stress while traveling with kids. Being a work-at-home parent has many advantages and is a true blessing. For example, running a home office will provide you with several unique advantages that will often translate in saving money, having more spare time for your children, and avoiding the neurotic modern commuter’s lifestyle. The most obvious benefit of working at home is the flexibility; you get to make your own schedule and adapt your routine to your workload and vice-versa. This can be particularly useful when raising a child, since it means you’ll have the time and energy to do proper parenting, rather than having to sacrifice your ideals to keep up with your office duties. Since working at home often means you will be able to get by without any need to hire child care services that will invariably let you save a lot of money! Not to mention that you will have the luxury of raising your children yourself, rather than having to rely on external assistance that often comes with a hefty price tag.